When the Taliban ruled Afghanistan, taking a photo was a crime. After the regime fell from power in 2001, a fledgling free press emerged and a photography revolution was born. Now, as foreign troops and media withdraw, Afghanistan is left to stand on its own, and so are its journalists. Set in a modern Afghanistan bursting with color and character, FRAME BY FRAME follows four Afghan photojournalists as they navigate an emerging and dangerous media landscape – reframing Afghanistan for the world, and for themselves. 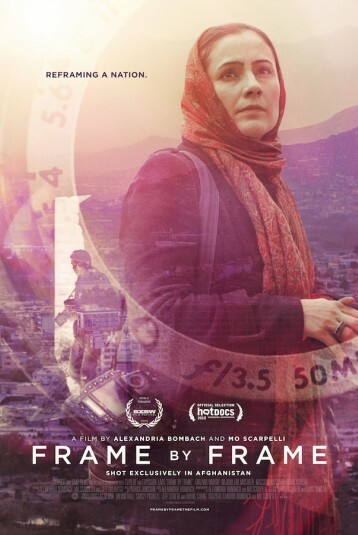 Through cinema vérité, intimate interviews, powerful photojournalism, and never-before-seen archival footage shot in secret during the Taliban regime, the film connects audiences with four humans in the pursuit of the truth.